Fire doors are important safety devices that are specifically designed to save both lives and property. They are necessary requirements for all public buildings as part of the building’s passive fire protection programme. Fire doors are also often required for residential areas such as flats where one door would lead into an integral garage or to another habitable room. Owners of residential buildings, especially those that have several units that are being rented out to tenants, must make sure that fire doors are in place and that these come from reputable fire door suppliers. 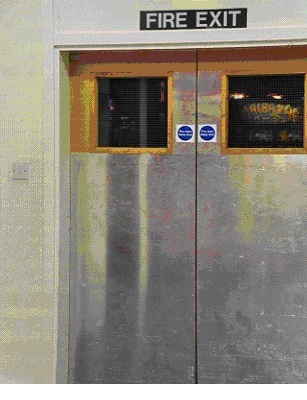 Fire doors have the ability to contain a fire within the compartment that it started in for a specific period of time. Depending on the fire door’s rating, it can usually contain a fire from a period of 30 minutes to one hour. A fire door with a rating of FD30S will not burn nor let fire pass through it for a minimum of 30 minutes. Since the fire is contained where it started, fire doors allow people enough time to get to safety, while gathering their precious belongings with them. Being able to contain the fire in one area will also allow fire-fighters to easily extinguish the fire without further damaging adjacent or neighbouring rooms. It is important for building owners to purchase and have fire doors installed by professionals. Here is what to look for when choosing fire door suppliers for your building. Manufacturers of fire doors and doorset schemes should be certified by a reputable institution. A certification means that these suppliers have committed themselves to a rigorous certification process that required a considerable investment in time and money to ensure that their products and services are of the utmost quality; especially since these products are designed to save lives. A certification also means that the fire door designs being produced by these manufacturers have been tested and have passed the standards set out by the industry. The rating of FD30S which means that the specific fire door design can last for 30 minutes is given through this certification process. Manufacturers of fire doors are certified every 5 years or after every 250,000 doors produced to ensure that the quality is maintained. A reputable fire door supplier must have well-trained staff. When planning to have a fire door installed, ask the supplier for proof that their personnel are well trained. Remember that in order for a fire door to work effectively, it must be installed properly and must be sealed completely. Since lives are at stake, choosing a reputable fire door supplier should be done carefully.